Holds a variety of material such as conduits, rigid steel pipes, PVC and ABS, copper tubing and some timber sizes. For use where a bench or vice is not available. Ideal companion tool for electricians, plumbers, pipe fitters, carpenters, and landscapers. Made from solid steel. 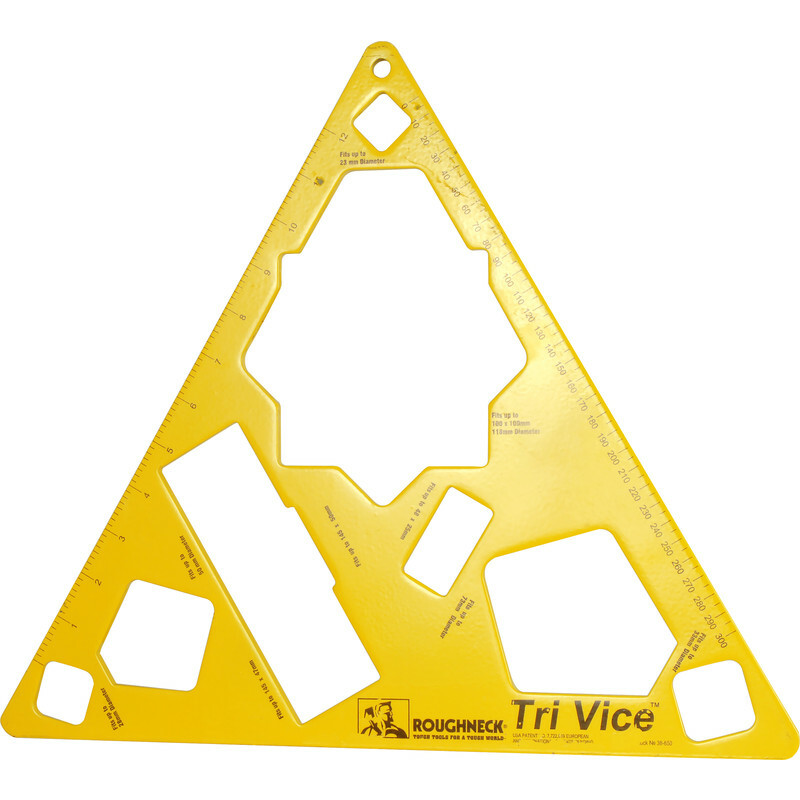 Roughneck Tri Vice is rated 4.7 out of 5 by 3. Rated 5 out of 5 by Eddythebuilder from What a great piece of kit Shoukd be part of everyones kit. Rated 5 out of 5 by Done It Meself from Simples Easy to use. Easy to store. Easy to wrap as Christmas presents!